Whether your passion is to be a filmmaker – director, producer or cinematographer – and work primarily behind the camera, or you’re looking to improve your acting and start creating your own films to act in, this list of best film schools in London will give you an idea where to start. There’s no doubt that the best advice for anyone wanting to get into the creative field is to “just do!” Start making that content, get the experience and put yourself out there. If you don’t produce, then there’s 0% chance of being noticed. 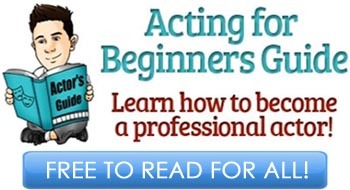 Want more acting options? 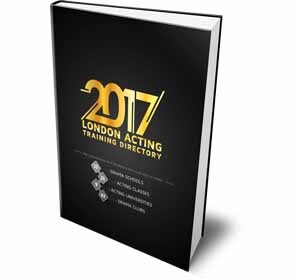 See 2017 London Acting Training Directory. 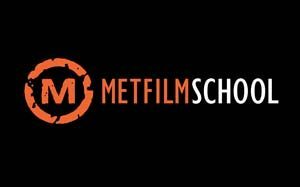 If you don’t think you’ll be able to figure out the filmmaking aspect yourself, then going to one of the best film schools in London, at least for a short period, may very well help. 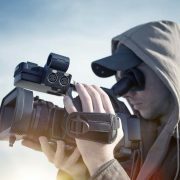 However, the apparent strengths of a particular film school may not suit everyone; every aspiring actor and filmmaker has their preferences and foibles. Nonetheless, I’ve done the research and put together this list of best film schools in London, in no particular order. 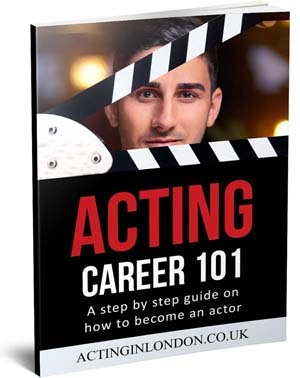 I expect any who peruse it will select those characteristics that appear attractive to them, make a short-list, and visit each London film school before deciding on one or two for which they can apply. Most offer open days and/or guided tours. Just one overall caveat: not one of these London film schools makes it onto the Hollywood Reporter list of the world’s top 25 film schools. Fees: These start at £300 ($460) for two-day introductory courses, then £15,750 ($23,950) for a typical three-year BA, and £17,500 ($26,700) for one-year postgraduate degrees. The first one the list of best film schools in London is MET whose ads you’ve probably seen all over the internet. Founded in 2003, the Met moved in 2005 to the west London district of Ealing, where its premises are within the confines of Ealing Studios, one of the world’s oldest film-production facilities. The school is modern in outlook, well-regarded, and offers a wide range of curricula and convenient choices of study times. Courses are available in acting, cinematography, post-production, screenwriting, producing, special effects, editing, and more, including documentary. In addition to introductory two-day courses, one can study over as little as three months for some diplomas, up to full-time over three years for an Honours BA in practical film-making; postgraduate (MA) courses are also available. However, this variety raises one nagging concern: Can the school offer so many courses and still maintain teaching quality across all of them? The school has extensive access to the facilities and equipment of Ealing Studios, including use of one of its sound stages, affording a real-world environment for pupils. The school also has a film production company, making films for theatrical release. Their website is professional-looking and comprehensively informative, the site is straightforward to navigate, with a search facility. Detailed guidance and downloadable forms are provided for applicants. You can also follow the school on more-or-less all of the leading on-line social media. There’s a brash flavour of commercial ambition throughout, however. Fees: Quality is expensive: for example, the two-year film-making MA currently costs £9,047 ($13,5750) per term, or £54,282 ($82, 510) in all. There is a detailed breakdown of all fees on the website. The granddaddy of British film schools, founded in 1956. It’s not as modern or as comfortable as the Met, with a narrower selection of courses. However, LFS is better-known and is highly-regarded in international film circles. The school is conveniently located adjacent to Soho, the heart of London’s entertainment district: great for networking or inviting producers and agents in to see your coursework. Its tag-line (“a tradition of innovation”) encapsulates its culture and outlook well. Reflecting its serious tone, the school focuses on experienced film students, offering MA and even PhD courses, plus workshops, rather than undergraduate, part-time, or introductory studies. The courses don’t include anything for actors, but are immersive for would-be directors, producers, and writers. They generally run over one or two years. There also workshops and summer courses, for which students can browse and book short-term accommodation at reasonable prices through the school’s website. LFS has an extensive film library and also provides students with access to the London Metropolitan University Library. 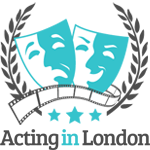 As part of its active support for sales of its students’ output to national and international broadcasters and distributors, the school shows its productions at a claimed 150+ film festivals across the world. Well-known former alumni include Mike Leigh, director of Mr. Turner, Vera Drake, and Secrets and Lies, among others (he’s also the school’s chairman), and four-time Oscar nominee Michael Mann, who directed and produced Miami Vice, Heat, Ali, and The Last of the Mohicans. Their website is highly professional in tone, the site is comprehensive and full of interesting stuff, such as examples of student films. A bit like browsing in a good bookshop, you could get distracted for hours. Fees: Fairly reasonable, certainly by comparison with LFS. A two-day (full-time) introductory course, Casting for Screen, kicks off the table at just £250 ($380); a one-year diploma is usually £19,500 ($29,650); and a two-year MA in film-making costs the same amount for the first year and only £12,000 ($18,250) for the second year. There are full details on fees for each course on the website. 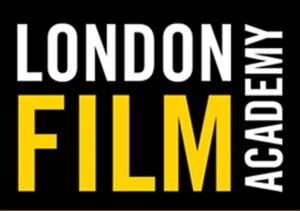 Like the London Film School, LFA concentrates on training behind-the-camera professionals. The only offering for actors is a five-day workshop. Founded in 2001, the school is situated in Fulham in west London. In the course of my research on it, I developed a liking for its aura of enjoyment and empathy. Compared with the Met, it has a relatively narrow selection of courses, but does offer a variety of formats: one-day introductory sessions, workshops, certificates (4-6 weeks), diplomas (6-12 months), and a full slate of undergraduate (BA) and postgraduate (MA) options (two years, mostly). Documentary-making is taught at introductory, certificate, and diploma levels. As a relatively new institution, like the Met, LFA hasn’t had time to build an impressive roster of successful former alumni, but several have found favour in production support roles, such as script developers and first assistant directors. The school is undoubtedly well-regarded in the film and TV industries. Their website is also clear, easy to navigate, and helpful. The tone is engagingly light and friendly, in keeping with the school’s description of itself as “a family”, yet it has all the information anyone might reasonably need, including several examples of student films. Incidentally, I think these shorts, where made available, are a good guide to a school’s effectiveness, and recommend taking the time to study them with a keen critical eye. Fees: The foundation course is probably the most interesting. It involves weekly three-hour sessions for 10 weeks and costs £1,199 ($1,825), payable in full or in four instalments of £312.50 ($475) each. 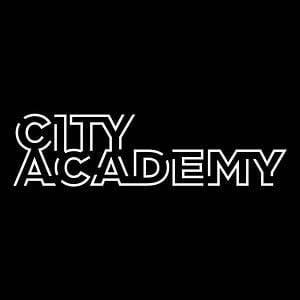 Fourth on the list of best film schools in London is City Academy, whose courses have been previously mentioned on our site. Founded in 2006, City Academy has over 40 locations across London, but its base is in Islington, just north of the city centre. It’s privately funded, so not to be confused with publicly-funded City of London Academy. 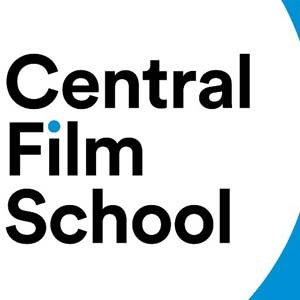 In its dedicated film school, City offers a narrow range of mainly technical subjects, such as editing with Final Cut Pro X software, DSLR filmmaking, and Photoshop (the last for stills photography). However, there is also a course on making short films and an intensive foundation filmmaking course for beginners. Foundation classes are small, held in a professional film/TV studio near Piccadilly, and mostly in the evening or at weekends; there’s no full-time curriculum. They have an excellent site that’s one of my favorites among all others mentioned on the best film schools in London list. It has clear information, helpful course descriptions, and straightforward navigation. Videos are available on YouTube and the academy is also on Twitter, Linkedin, Facebook, and Google+. Fees: For an MA-only school, especially one with such fine provenance, fees are reasonable, but hardly cheap. The ticket for the generalist Film & Screen Studies course is £13,340 ($20,280), and £20,000 ($30,400) for an MA. 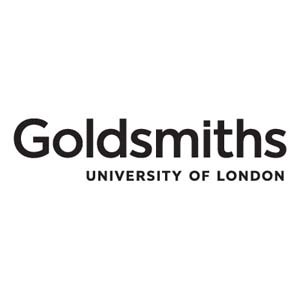 Goldsmiths, a public research university situated in arty New Cross, east London, was originally founded in 1891 and is part of the University of London. It’s noted for its arts and social sciences faculties, so the recently-founded Screen School seems a complementary extension of its resources. The school operates within the college’s Department of Media and Communications, which boasts a purpose-built media facility. The focus is on film production, not acting. The range of courses is narrow, being limited to, mainly, one-year full-time MA studies in film-making. These are also available as two-year part-time studies. There are no short courses, diplomas, or BA degrees. There are no fewer than nine distinct MA courses: Directing Fiction, Producing, Screen Documentary, Cinematography, Sound Recording & Design, Editing, Script Writing, Film & Screen Studies, and Television Journalism. There’s also a one-year MSc in Computer Games & Entertainment, as well as an MA in Radio. The school’s association with Goldsmiths has given it instant credibility with the arts and media worlds, enabling it to offer one-year mentoring with key individuals and companies in those areas. It also attracts high-profile guests to its events and debates, such as Danny Boyle, Stephen Frears, Tim Bevan, Alan Parker, and Paul Greengrass. A crucial point on fees: being part of a university, The Screen School offers accommodation for students. Rooms start at about £115 ($175)/ week, ranging up to £180 ($275), including all bills and wi-fi access. That’s cheap by London standards, especially so near the city centre. Their website is just a text-only page on the Goldsmiths site and contains little more than an overview of what the Screen School offers. However, a bit of clicking around, spliced with occasional search-engine queries, will find all you need to know about courses, fees, applications, and so on. Fees: Flexibility, choice, and value characterise the Raindance offering. A one-evening course can cost as little as £48 ($73), while the Saturday Film School lists at £198 ($300). An MA/ MSc (one-year full-time or two-year part-time courses) goes for a modest £9,450 ($14,365) and is payable in full or by installment over the tuition period. One can attend a free introductory session before committing. 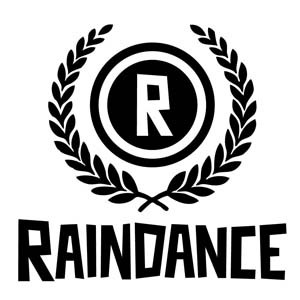 Not to be confused with Robert Redford’s Sundance, Raindance was founded in 1992 as a film school, with its now-famous festival of independent films being launched the following year. Aimed at showcasing British film-making talent, it operates in London, New York, Los Angeles, Toronto, Vancouver, Montreal, Berlin, Brussels, and Budapest. If indie film is your thing, it’s the place to go, whether as aficionado or student. There’s a distinctly punk element to the school’s approach, reminiscent of a London fanzine of the late-‘70s, which published three hand-drawn chord diagrams, captioned: “This is a chord, this is another, this is a third. Now form a band”. Raindance is undoubtedly more professional than that, but its ethos is similar. The London school is in Charing Cross, about 10 minutes’ walk from theatreland. It offers a wide variety of seminars, workshops, events, and short courses (one, two, or three days, evenings, part-time, full-time, etc) on every imaginable subject, all under the general heading of film-making. Some are held over a single evening. The list of topics varies and is much too long to cover in this blog, but a few recent examples include pitching skills, marketing, character creation, and music licensing. No acting courses are offered, however. Raindance’s most celebrated course is its Saturday Film School, a one-day affair held at King’s College London and designed to be an intensive but enjoyable introduction to directing, producing, writing, and film-making. Attendees have described it as “inspirational”, “engaging”, “a gift from the gods”, and, most of all, “fun”. At a more committed level, the school offers a variety of evening certificate studies, generally over five weekday evenings. Complete several and you get a diploma. At the top of the learning tree, there are full-time and part-time studies, or even an on-line MA or MSc (via Skype). For these postgraduate degrees, students themselves design the bulk of their curriculum in consultation with mentors who are working industry pros. Their site is attractive, enthusiastic, and informative, but there’s such a wide variety of stuff on offer (courses, events, seminars, videos, a newsletter, testimonials, etc) that it’s easy to get sidelined. I recommend signing up for the free weekly newsletter; it will keep you in touch with courses, events, offers, and much else. You can also become a premium member for £50 ($76) annually, entitling you to discounts on courses and event tickets. Fees: Pretty reasonable. A three-year BA course costs £12,250 ($18,620)/ year, while a one-year MA is £14,000 ($21,300). One also needs to take into account that it’s a university, so accommodation in Harrow is available for film school students, with single rooms costing from £163 ($248) to £179 ($272)/ week, including all bills and wi-fi access. 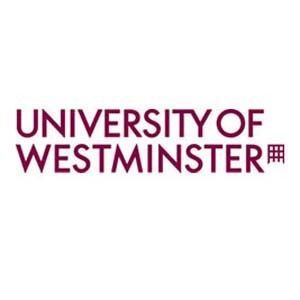 Westminster is one of two cities that comprise London, the other being the City of London, but this university’s campus for film, moving image, and TV studies is in neither. It’s in Harrow, which is borderline Greater London and well north of the main attraction. The university is spread over four campuses, with 22,000 students and a leaning towards arts and technology. It was founded as a ‘poly’ (polytechnic college), the UK’s first, in 1838 and gained university status in 1992. The film school is backed by a distinguished history of ‘firsts’ for the university: Europe’s first public photography studio (1841); the venue for the first public movie show, by the Lumière brothers (1896); and the first degree courses in Photographic Science, Photography, and Media Studies (1960s, 1970s). As with all the schools in this list, apart from the Met, Westminster concentrates on most aspects of film and TV production, but not acting. The courses seem well-designed, if more academic than practical in scope. Undergraduate (BA, full-time only), postgraduate (MA, part-time only), and research (PhD, MPhil, DProf, MRes) studies are offered under such course titles as Contemporary Media Practice, Film, Imaging Art & Science, and Film & Television: Theory, Culture, and Industry. Serious stuff, indeed. Facilities are said to be excellent, with two sound stages, a set construction workshop, TV studio, and mastering suite, among many other resources. Their website looks decent, is well laid-out, and is comprehensive, with a search facility. No student films to watch, unfortunately, but there are several introductory videos and the film school is active on social media, including YouTube. Fees: An intensive one-month diploma costs £2,095 ($3,185), while fees for the six-month courses are around £7,500 ($11,400), a typical two-year BA is £18,500 ($28,150) annually, and a one-year MA runs to £15,000 ($22,800). The last on this list is a small, new (founded 2009) school with a focus on the practicalities, exemplified by its tag-line: “Practical Training in Filmmaking”. It’s located in Whitechapel, east London, a trendy and arty multi-cultural district within fairly easy reach of central London and theatreland. The school offers short (City & Guilds diploma, one to six months), undergraduate (University of Gloucester Honours BA, two years), and postgraduate (no degree specified, one year) courses, as well as specialist courses for professionals (location managers, storyboarding artists, video operators, etc). There’s a cutting-edge feel to some courses, e.g., Disruptive Media, a postgraduate choice that offers training in web-based marketing and the incorporation of new technology into existing work practices. Recently, the school also held a 3D workshop. 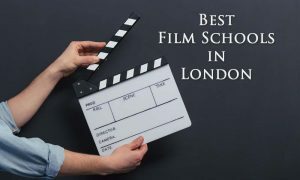 Their site is not my favourite when compared to others on this list of best film schools in London. It’s image-heavy, making it slow to browse, and an excess of empty space necessitates a lot of scrolling to get hard information. It’s also too promotional, although most of the information one might need is there. More student film clips would be useful, especially as the school doesn’t seem to want to shout about its social media presence: just three tiny links at the bottom of the Contact page. That’s a wrap, then. The most surprising thing about the list is its variety. From the edgy cool of Raindance to the academic hauteur of Goldsmiths and the commercial brashness of the Met, there should be something here to please everyone. 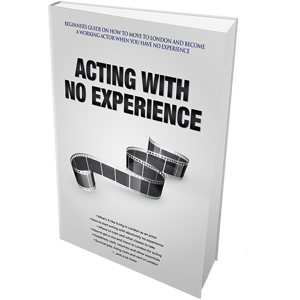 READ NEXT: Why Actors Should Get Into Filmmaking?